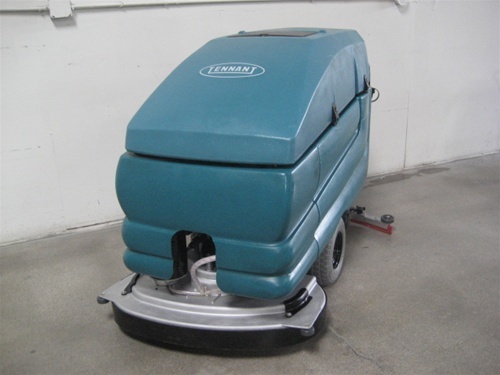 The Tennant 5680 floor scrubber is designed to reduce dirt build-up in hard to reach areas due to its unique low profile scrub deck and squeegee assembly. 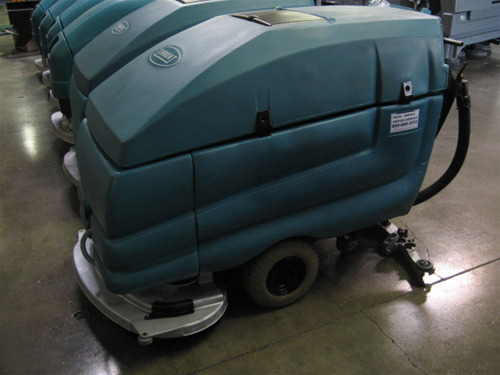 The two position scrub head down pressure allows for daily or heavy scrubbing cleaning jobs. 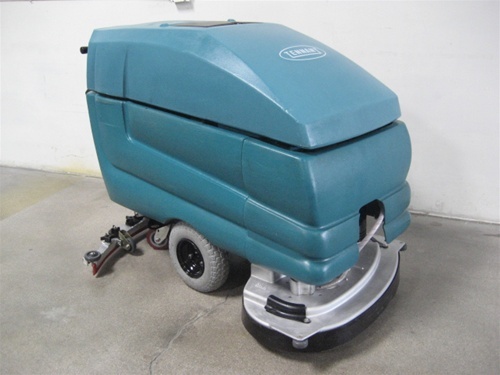 The Tennant 5680 floor scrubbers are one of the few automatic floor scrubber machines that come with 2 wheel drive, a huge advantage on slick wet floors. 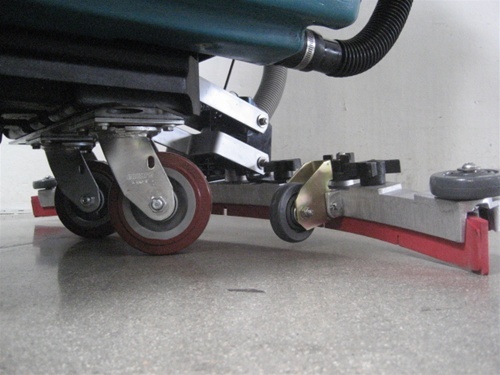 The parabolic squeegee assembly ensures optimal solution recovery even around the tight corners. 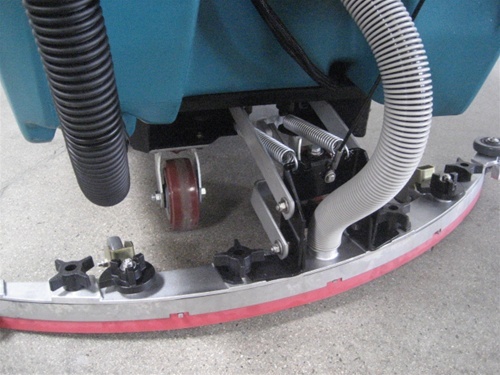 Achieve consistent scrubbing performance with the floating scrub head assembly and swivel mounted pad drivers which follow irregularities on the floor surface. 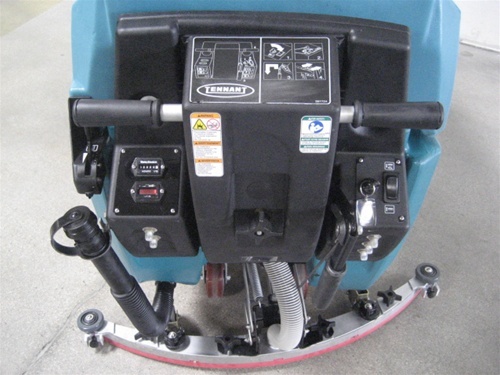 The Tennant 5680 floor scrubber is user friendly. 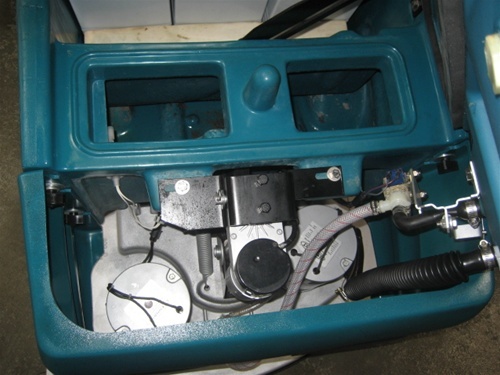 It's Quick-Train operator console employs a simple 4-step diagram to guide new operators through the basic steps to properly operate the machine. 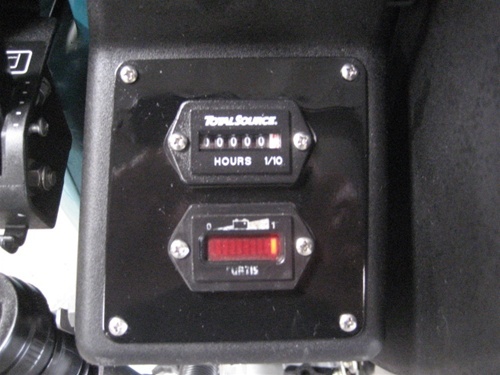 New operators will find the Tennant 5680 simple and easy to use, with no complicated controls or adjustments. Now available with cylindrical scrubbing brushes, the Tennant 5680 is designed to tackle the demands of commercial environments. 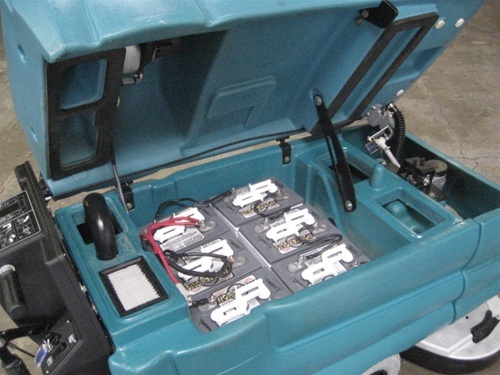 From the impact absorbing head linkage to the tough corrosion resistant scrub deck and squeegee assembly, to the foam filled tires that never go flat, the Tennant 5680 is designed to stand up to the most demanding applications. The Tennant 5680 cleans in areas that most automatic scrubbers can't including toe-kick/base board areas.